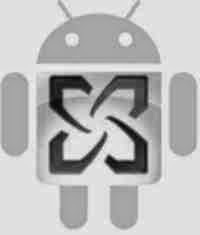 If you are someone who uses Microsoft Exchange a lot, then switching to Android might not have been as smooth as you imagined. Despite having great compatibility with MS Exchange out of the box, Android users still are looking for some better apps that can help them get the most out of their business emails. 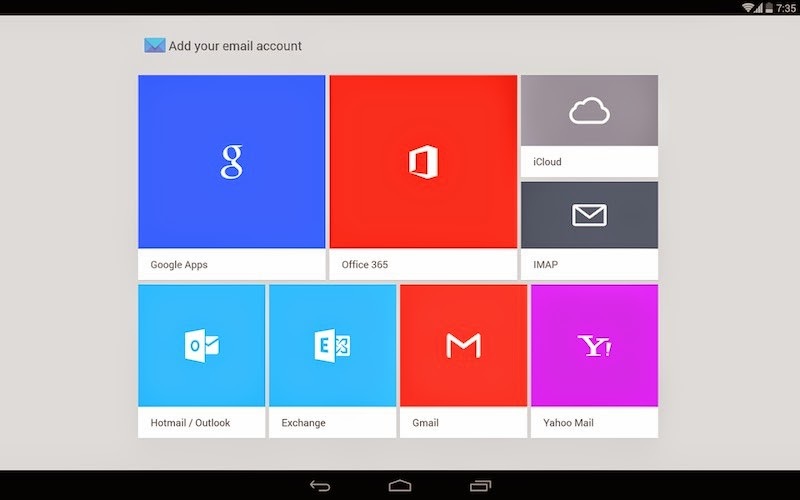 That's why we have compiled a list of some of the best Android-based Email clients out there for Microsoft Exchange users. While not at the level of the original applications, these Android apps also help business users be more productive. Nine is a fabulous app that uses the Direct Push technology to sync with MS Exchange server with the help of Microsoft Exchange ActiveSync. Upon first glance, what stands out most about this app is its clean UI. 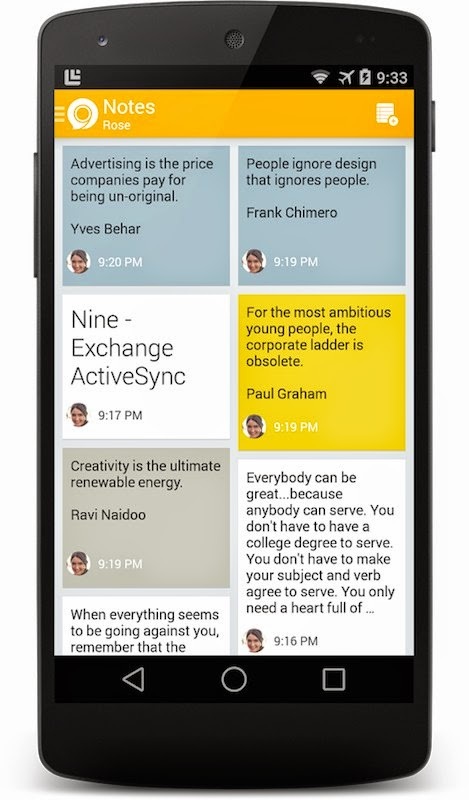 Following most of Android's UI standards, Nine is probably one of the most beautiful business apps out there. 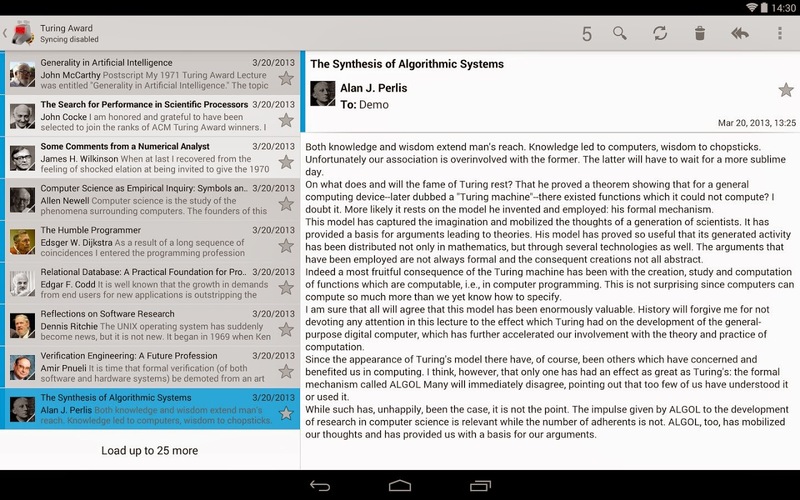 Once installed, Nine gives you a full suite applications: email, calendar, contacts, and even notes. All of the data is synced to the server, including notes and sms. Moreover, there are also all the essential widgets you need to get a quick glance at your important stuff. Overall, a good clean application for all your business communication needs. MailWise is an application that helps to address the problem many users face with long conversation threads. Once installed, you will find clean, card-like conversation threads that are easy to navigate and reply to. 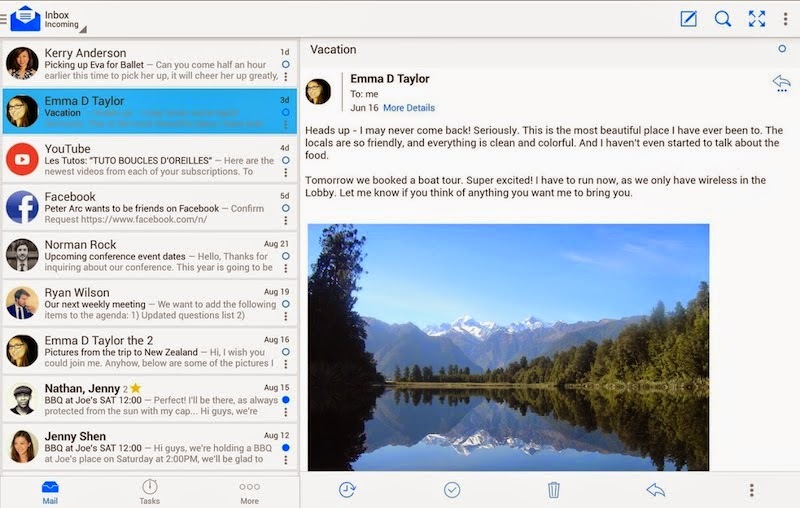 Among other features, MailWise also acts as a full-fledged Exchange application bringing most of the good stuff from the desktop to your phone. Much like the aforementioned Nine, MailWise too comes with a really good-looking UI. The best part though, about this app is that it is completely free without any ads whatsoever. If you are looking for a good consolidated solution for all your email needs and not just Exchange, CloudMagic is a great app to try. Clean, simple, and easy to use, CloudMagic brings all your mailboxes together, including your MS Exchange inbox. This is very useful for people who have a couple of personal accounts and another business account. Once installed, CloudMagic will let you access all of them (or more) without having to switch apps. Definitely worth a try even if you are not an MS Exchange user. Similar to the aforementioned CloudMagic, BlueMail too helps you consolidate all your inboxes in one place. What's great about this app is its intuitive UI. With just one swipe across the screen you can either delete or archive a message. Another good feature is the thread view that allows you to view your emails as conversations, thus making it easy for you to communicate with your friends and colleagues. 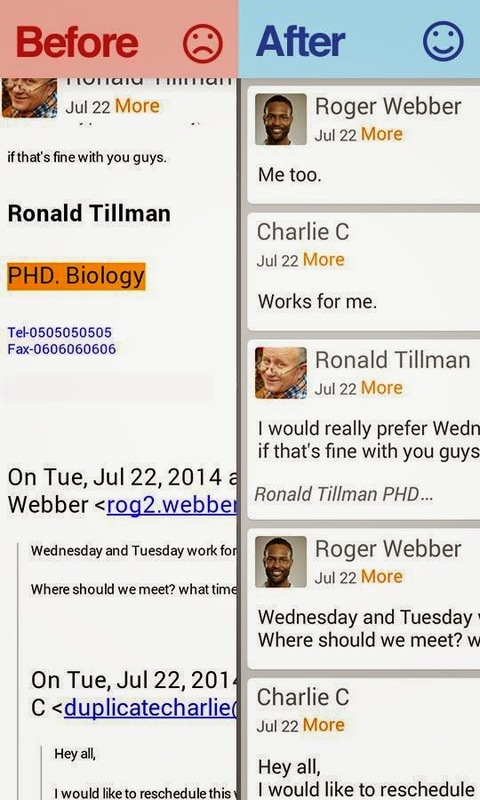 Again, this is not a dedicated MS Exchange app, but useful if you have a lot of email accounts. K-9 Mail has been around for quite a while and there is a good reason for that: this app is completely free and open-source. Once installed, you'll be able to add IMAP, POP3 and Exchange 2003/2007 accounts with ease. With support for IMAP push email you can even completely ditch official Gmail app for an open source alternative. Furthermore, with multi-folder sync, flagging, signatures and filing, K-9 proves itself to be a good alternative to a full-fledged desktop Exchange client. Also interesting is the feature to store mail on SD card making it easier for users to avoid running out of storage space. If you are new to the app, a great place to start is to browse the app's wiki which has detailed information on how to configure and make the most out of K-9.